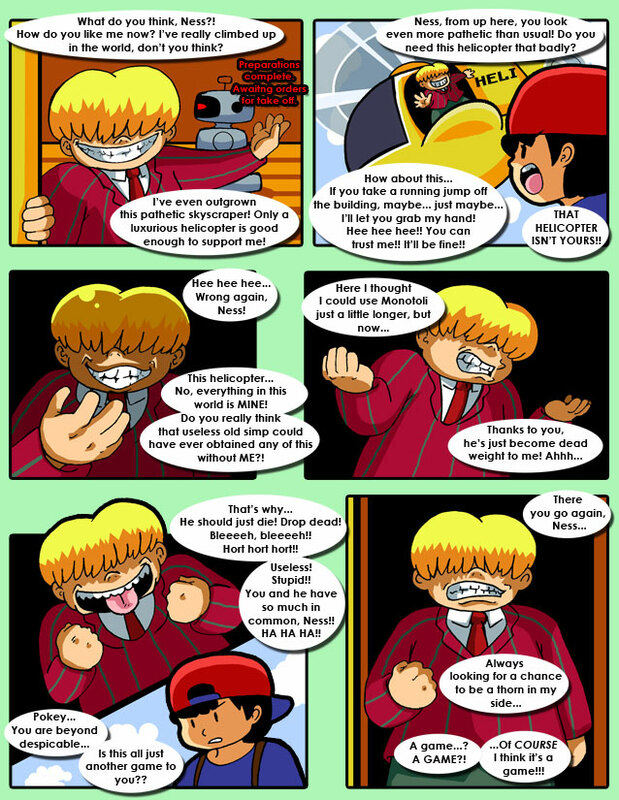 With a strange power, Ness and Jeff begin an amazing adventure that will one day become a series of its own. Eaaaarthbouuuund Baaaaaabies, we make our dreams come truuuue! A strange encounter becomes even more weird as Ness and Jeff find a biography on Salvador Dali. Suddenly that clock seems a lot more normal by comparison! Ness and Jeff learn the horrors of life before caller ID. After another dead end, Ness and Jeff make their way back on the streets only to end up...wait, where are they? Caught off guard, another strange teleport trap is sprung. Too bad for Ness and Jeff that they couldn't encounter the painting of the dogs playing poker instead. Imagine how much money they'd rake in.